A society of patriotic ladies, at Edenton in North Carolina. Printed for R. Sayer & J. Bennett, 1775 March 25. Library of Congress. The Boston Non-Importation Agreement of August 1, 1768, was a formal collective decision made by Boston based merchants and traders not to import or export items to Britain. The agreement, essentially a boycott, was a series of agreed upon commercial restrictions the colonists put in place with regard to trade with the mother country. The decision for the agreement came about as a way to protest and combat the 1767 Townshend Revenue Act. Under the Townshend Revenue Act, a tax had to be paid for the purchase of glass, lead, oil, paint, paper, and tea. The Boston Non-Importation Agreement was one of the most effective means of colonial resistance against British policy in the years before the American Revolution. A similar tactic was again employed in Boston and throughout the colonies five years later to protest the Tea Act with the boycott of British East India Company‘s tea that culminated with the Boston Tea Party. Boston Non-Importation Agreement. Massachusetts Historical Society. Other American cities also implemented similar non-importation agreements to resist unpopular British policies. The use of raw materials, goods produced in the colonies, and Yankee ingenuity were the order of the day. It was during this time the American colonies experimented with the notion of being self-sufficient and not relying on the mother country. This experience would prove invaluable for in a few short years during the Revolution the British Royal Navy would blockade the American coast and shut down many of the major port cities. 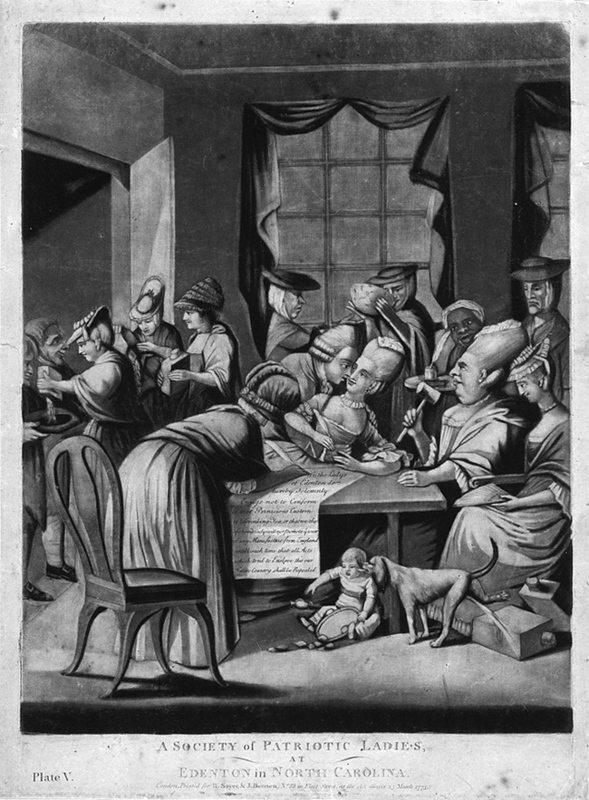 During the Boston Non-Importation Agreement, merchants and traders agreed to boycott goods that were subject to the Townshend Revenue Act until the taxes on those goods were repealed. Some critical goods were exempt from the boycott such as salt, and hemp and duck canvases. Smuggling was widespread. This was in direct violation of the Navigation Acts. Almost every American community benefited from or participated in the smuggling of illegal goods obtained from Dutch, French, and Spanish merchants. 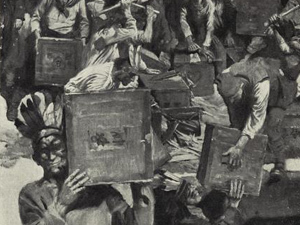 Smuggling was not only a cheaper alternative to taxed British goods, but also served as an effective means to resist and undermine British policies. Boston was rife with smuggled goods and smugglers. The Sons of Liberty secured funding for their organization by running lucrative smuggling operations. Smuggling funded much of their resistance to British authority. 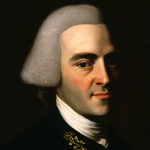 Samuel Adams, John Hancock, and Paul Revere were all known as notorious Boston Patriot smugglers. Almost every American community benefited from or participated in the smuggling of illegal goods obtained from Dutch, French, and Spanish merchants. Smuggling was not only a cheaper alternative to taxed British goods but also served as an effective means to resist and undermine British policies. 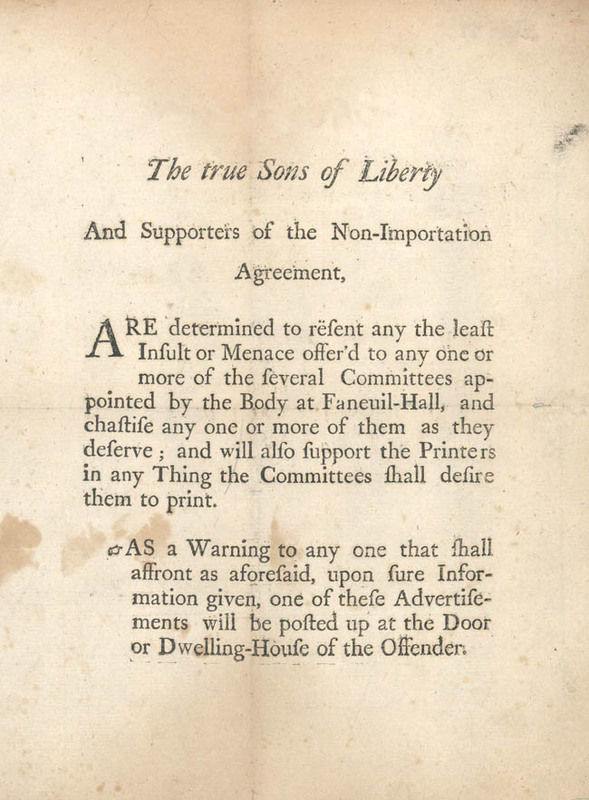 The Sons of Liberty were proponents of the use of non-importation agreements and similar boycott tactics. As early as 1766, the practice of employing non-importation agreements against importation and trade with Britain was enacted by cities in the American colonies. 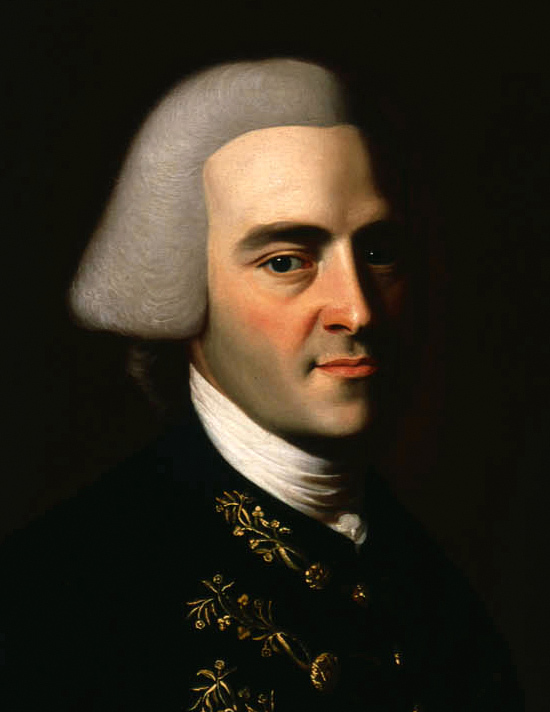 The Sons of Liberty were proponents of the use of non-importation agreements and similar boycott tactics. The Stamp Act was repealed because of joint non-importation agreements by American colonies. New York merchants first implemented the non-importation agreement to protest the Stamp Act and they were able to persuade the merchants of other cities to do the same. Boston was one of the cities New York merchants persuaded to participate in the non-importation agreement to combat the Stamp Act. 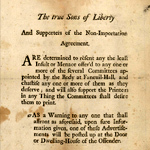 As a result of the successful boycott and pressure from British merchants who lost money, Britain gave in and finally repealed the Stamp Act. John Hancock, oil on canvas, 1770-1772. Massachusetts Historical Society. The impact of the Boston Non-Importation Agreement, and all similar agreements, were significant. 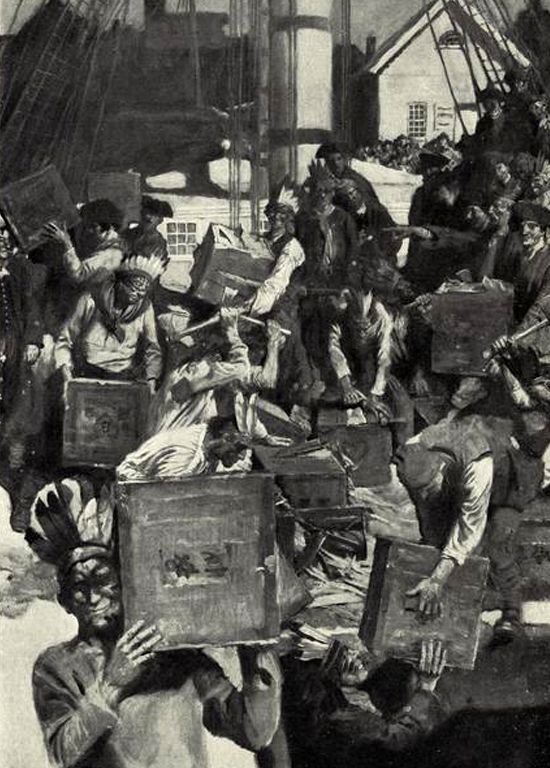 Approximately sixty merchants and traders signed the agreement on August 1, 1768, and within two weeks, all but sixteen of Boston’s merchants, traders, and business owners had joined the boycott. Boston tradesmen, artisans, and other business owners happily signed the agreement in hopes the boycott would generate business for them. Within weeks and months, almost every port and region within the Thirteen Colonies adopted similar boycotts to protest and undermine the Townshend Revenue Act, although many Southern merchants and traders with Loyalist leanings refused to cooperate. Smuggling was rampant throughout the colonies. The effects felt by British merchants who traded with the American colonies were alarming. Merchants lost money shipping their goods to the colonies where they would not be received. More often than not the goods were never allowed ashore. If they were, they rotted on docks or in warehouses or were looted by the colonists. The situation was a nightmare for customs officials who could not collect taxes on goods that were either not allowed ashore or were never sold. In response to the Boston Non-Importation Agreement, Parliament ultimately repealed the Townshend Revenue Act taxes on all commodities except tea. The non-importation agreements in the years prior to the American Revolution were an effective tactic to protest British policies and pushed Boston Patriots into prominence and demonstrated to other colonies the potential for united action. As a result of the successful boycott Boston started with the 1768 Boston Non-Importation Agreement, the First Continental Congress in 1774 would pass a colony-wide prohibition against any trade with Britain. In response to the Boston Non-Importation Agreement, Parliament ultimately repealed the Townshend Revenue Act taxes on all commodities except tea. The Boston Tea Party, 1901. New York Public Library. The Boston Non-Importation Agreement of 1768 and the subsequent repeal of the Townshend Revenue Act taxes on all commodities except tea was a major cause leading to the December 16, 1773 Boston Tea Party. With the passing of the Tea Act in May of 1773, the tea tax under the Townshend Revenue Act was still in effect. The tea tax which was not repealed, like the other taxes under the 1767 Townshend Revenue Act repealed in 1770, was one of the fundamental reasons why the Tea Act angered and mobilized colonists to protest and boycott the shipments of British East India Company tea. If the tea tax would have been repealed in 1770 with all of the other taxes, in all probability the Boston Tea Party would have never happened and the Patriots would have manifested their protest in another form.